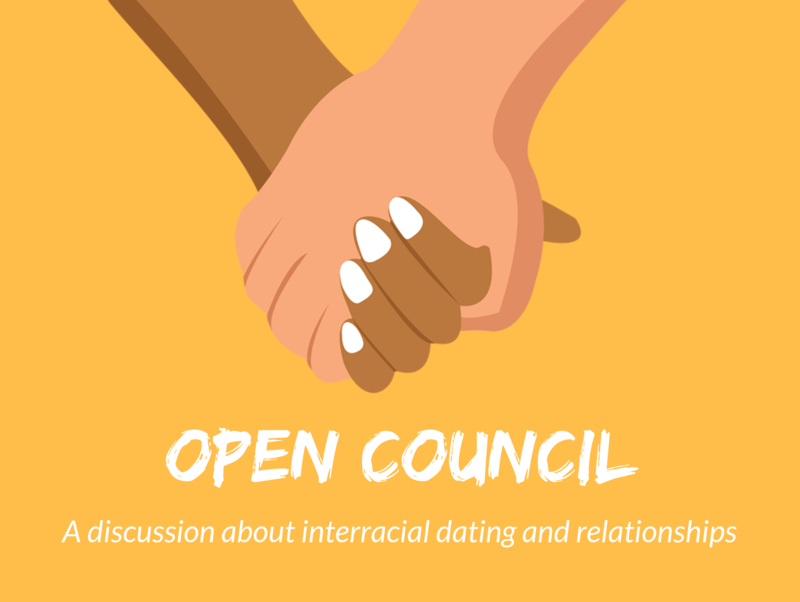 On Tuesday night, the Multicultural Council gathered a panel of speakers to talk about their experiences with interracial dating and relationships. The five panelists were Kevin Villegas, Molly Jansen, Laura Almeida, David Abraham and Belosan Jekale, who are all currently in interracial relationships. The evening opened with each of the panelists sharing a little about their relationship and some of the unique challenges that they’ve experienced. Early in the panel, Abraham and Almeida shared a recent anecdote of the different ways they cook rice. Born in Brazil and spending a large portion of her life in Mozambique, Almeida cooks rice with oil and garlic, while Abraham, born in Nigeria and growing up in the Ivory Coast, does not. The simple story gave listeners a chance to understand that sometimes, differences aren’t just about race, but also culture. Interracial marriages have seen a significant rise since the Supreme Court legalized them in 1967. In 2015, a Pew Research study discovered that one-in-six (17%) of newlyweds in the U.S. were married to someone of a different race or ethnicity. Though the study was limited to interracial marriages, one can imagine the numbers being even higher for all interracial romantic relationships. Villegas, who is the child of an interracial marriage and has also been in an interracial marriage for over 20 years, emphasized the communication and understanding of differences in culture. His own parents divorced when he was eight because they never worked past their cultural differences. As a result, Villegas was conscious to learn about his wife’s culture when they first started dating. The panelists also shared some of the reactions they’ve received from family members and the public as a result of their relationship. Jekale recounted a recent experience when an immigration officer told her that many Ethiopian girls were leaving the country and dating outside of their race, then joked that he should revoke her American visa to keep her in Ethiopia. It’s not just instances like this that should make us think about how we view interracial relationships. Each of the panelists agreed that one of their favorite things about being in an interracial relationship was the new culture they were exposed to. Even within friendships, the importance lies in being willing to communicate and understand the cultural differences that make these relationships special.